In the second paragraph of the description of the Sun's birth, I noted that all the "dirt" in the Universe comes from someplace other than the Big Bang. We have now seen what part of that someplace is: stars can forge elements beyond helium through nuclear fusion, then spread them throughout space via the emission of a planetary nebula, or in a supernova explosion. But as noted in Table I in the page on massive stars, direct fusion can never produce any element beyond iron, even though there are over 60 elements beyond iron! In fact, direct fusion only produces about a dozen of the elements: carbon, nitrogen, oxygen, neon, magnesium, silicon, sulfur, argon, calcium, titanium, chromium, and iron. These elements easily constitute the bulk of the Earth's mass (over 96%), but the other elements must still come from somewhere. Where? The short answer is, neutron capture. The single most overwhelming obstacle to nuclear fusion is the electrostatic repulsion between nuclei. It is notoriously difficult to fuse even hydrogen with hydrogen, and hydrogen has only a single positive charge. Neutrons, however, have no electric charge at all. They can approach a nucleus as leisurely as you wish, and still make contact with it. It is no accident that Figure 2 on the solar birth page shows a neutron "bullet" headed towards the uranium atom. Uranium has 92 protons, so if you tried to initiate uranium fission with a proton, the repulsive force would be 92 times that of hydrogen fusion. This is even greater than the force that opposes carbon-carbon fusion. The hydrogen fusion would never happen. But free neutrons can approach even the heaviest nuclei, and once they make contact, it is essentially a given that they will "fuse" with it. (Working physicists prefer the term "neutron capture" to "neutron fusion", but I am going to stick with "fusion" since I think it is a bit more accurate.) I have placed the word "fusion" in quotes because I don't want to imply that the results of neutron "fusion" are particularly permanent. In fact, most of the time the end product of neutron "fusion" is a very unstable nucleus that promptly decays into something else within microseconds, if not within femtoseconds. Interestingly, however, it is rare for the unstable nucleus to just toss away the extra neutron and return to whatever it was before the fusion. (Except for the highly notable and critical exception of helium, which does it all the time). More often, the nucleus emits some other particle and transmutes itself into a different element! The details of radioactive decay are a little off the subject here,1 so I will simply summarize and say: 1) it is easy to add neutrons to nuclei, 2) doing so makes the nuclei more massive, and 3) if the resultant nuclei are unstable, they may well decay into elements heavier than what they once were. 1 – If you want to read more, check out the radioactivity summary in my Idea Of Physics website. Thus neutron fusion makes heavy elements out of light ones. By repeatedly absorbing neutron after neutron, light nuclei can be built up to make any heavy element. If you are perhaps wondering why neutron fusion hasn't turned the entire Earth into a ball of plutonium if it's that easy, the answer is deceptively simple: you can't have neutron fusion without neutrons. Which brings us back to the stars. By their very nature, stars are only oversized, extremely ancient, nuclear reactors – which means they generate free neutrons. However, since the spot where the nuclear reactions mostly take place (the core) generally ends up collapsed into a white dwarf or a neutron star, we need to dig a little deeper to see how the heavy elements make it into the interstellar medium. Some of the small details are not clear, but we believe that elements generated by neutron-fusion synthesis come about through two processes, known as the slow and rapid processes, respectively. "Slow" as used here means that the nuclei fuse with only one neutron at a time. Radioactive nuclei formed in this way have ample time to decay naturally before the next neutron hits. The slow process occurs in the extended atmospheres of red giant stars, and the elements created there eventually drift off into space when the red giant enters its planetary nebula phase. The slow process is thought to be understood fairly well, because the properties of naturally decaying radioactive elements can be studied in the laboratory and matched to observations. In the rapid process, the nucleus is pelted by neutrons so furiously that it does not have time to decay as it normally would. Instead it "packs on" multiple neutrons and forms bizarre super-heavy nuclei that are not well understood, since we cannot readily create them on Earth. The rapid process occurs during the fleeting first hours of a supernova explosion, when there is such a torrent of free neutrons and so much energy available that even the heaviest elements can be created. Our knowledge of the rapid process comes from calculations and from observations of the radioactive products given off by supernovas. The slow and rapid processes do not create the same set of elements. Familiar elements produced almost exclusively by the slow process include fluorine, sodium, aluminum, phosphorus, chlorine, bromine, strontium, zirconium, niobium, molybdenum, tin, barium, and lead. Familiar elements produced almost exclusively by the rapid process include potassium, manganese, cobalt, copper, zinc, gallium, germanium, arsenic, selenium, silver, iodine, cesium, iridium, platinum, gold, thorium, and uranium. Elements that are produced to some extent by both processes include nickel, palladium, cadmium, tungsten, mercury, and bismuth. We know which set of elements comes from where because we can see them, in the spectra of supergiant red stars and in the nebular remains of supernova explosions. We may be a bit uncertain about the precise details, but the overall picture is about right. This picture of elements being built by different processes explains why the elements beyond iron (silver, mercury, uranium, etc) are very scarce compared to lighter elements such as oxygen, silicon, etc. Consider how much gold there is on Earth – gold is created only by the rapid neutron process – as compared to how much silicon dioxide (sand) there is on Earth. The rather afterthought way in which gold is synthesized is exactly the reason why. To make an atom of gold from an atom of iron (for example), the iron must be pummeled by a minimum of 141 neutrons, and it must be pummeled hard, because even a ten-thousandth of a second delay between strikes might be enough for the extremely unstable nucleus to fall apart and break the chain leading from iron to gold. Even in the terrific fury of a supernova, not many iron atoms are going to be converted to gold. I have already noted that the Sun is mostly hydrogen, helium, and about 1% "dirt" (by mass). The table below puts some numbers on this for selected "common" elements beyond iron. The abundance indicates what percentage of the mass of the Sun not including hydrogen and helium is made up by each element. That is, the elements are only being compared to the rest of the "dirt" in the Sun (carbon, nitrogen, etc), and not to the total mass of the Sun. The abundances are given in millionths of a percent. As common as we imagine metals like tin or lead to be, in fact they very rare by cosmic standards. 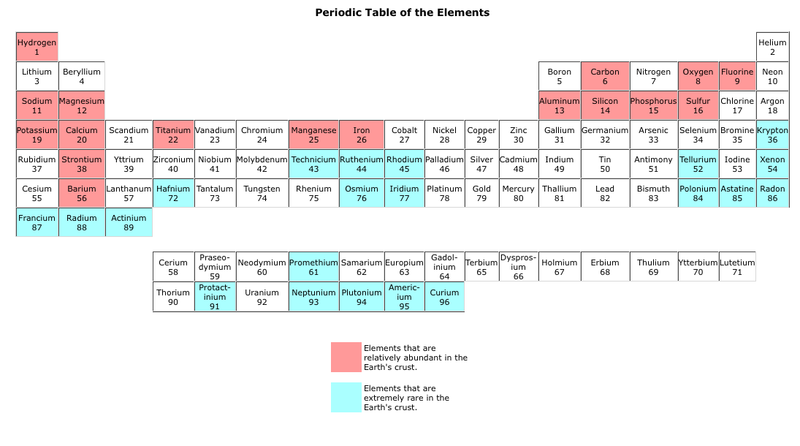 All of the elements listed in Table II combined make up only 0.00035% of the "dirt" in the Universe, and the "dirt" in turn makes up barely 1% of the visible matter in the Universe. This essay covers the overwhelming majority of stars that have ever evolved off the main sequence. Most stars, however, haven't yet evolved off the main sequence and won't for many billions of years to come. I am referring to the extremely numerous small stars (mass < 50% solar) that have lifetimes longer than the current age of the Universe. These stars, even when they do evolve, won't evolve much, because they are too small to ignite helium burning. They will gradually enter a "red giant" phase and become perhaps a few times as bright as the Sun is now, then they will fade into white dwarfs. They won't even emit planetary nebulae, because their cores will never be hot enough. Interestingly, theoretical calculations indicate that the very smallest stars (below about 16% of a solar mass) will evolve differently than their larger brethern, aside from the fact that it will take them six trillion years to do so. The reason arises from the physics of convection. Liquids and gasses don't "like" to convect, or circulate, for exactly the same reason that a croquet ball will only roll so far on a lawn: friction. Unless there is a heat source to keep the liquid circulating, it will quickly dissipate its energy and become still. In your kitchen, heated liquids will remain still so long as the heat flowing into them can be transferred to the environment by conduction. Gently warming some water, within and of itself, does not make the water move. However, water is a rather poor heat conductor, so it is easy to warm it to the point where heat can only escape if the water acts like a "heat conveyor belt" and circulates to transfer the energy to the air. At that point, and only at that point, will the water start to move. In the Sun, temperatures are so high that they are far, far beyond the point needed to create circulation. So, the outer layers of the Sun boil furiously, with huge cells of heated gas rising and falling and creating many fascinating kinds of solar weather. In the inner two-thirds of the Sun, however, the gasses are completely still, even though they are much hotter. The reason for this seeming paradox is that a new and different mechanism for transferring heat operates in such environments: radiation. While discussing the Hertzsprung-Russell diagram, I noted that the energy radiated by an object rises as T4. Remarkably, this is true whether we are talking about energy radiated inside or outside the object. Thus, as we move from the ~6000 K° temperature at the surface of the Sun to the ~15,000,000 K° temperature at the core of the Sun, the efficiency of heat radiation rises by 20004 = 10 trillion times! In the inner part of the Sun, heat energy is moved by the sheer intensity of the X-rays, UV light, visible light, and so on that is glaring through the hydrogen and helium gasses. There is no heat build-up to make the gasses circulate, and therefore they don't. The depth within a star where it switches over from circulation to radiation for its heat transfer depends upon the star, of course. The hotter a star is, the closer to the surface the boundary will be. Extremely hot stars with blue-white surfaces have boundaries so shallow that they experience virtually no circulation at all. This fact can sometimes lead to bizarre spectra for blue-white stars, because their surfaces are so quiet that sometime elements "float" to the surface and stay there, like bits of grit on a stagnant pond, and thus give the star the appearance of possessing 10 billion times more silver or mercury than the Sun. Smaller, cooler stars have larger circulation zones at their surface and smaller radiative cores, and that brings us to the tiny red sparks at the end of the main sequence. Calculations indicate that very small stars, below about 16% of a solar mass, are so cool that they have no radiative core at all. The gasses in these dim embers circulate all the way down to the very center of the star. Therefore, they will never experience the type of helium-core build-up that the Sun and most other stars do. Instead, as they slowly burn hydrogen into helium, gentle circulation currents will waft through the core and carry the "waste" helium away, thereby mixing it with the rest of the star. As these tiny stars age, the entire star and not just the core will become enriched with helium. So, the entire star and not just the core will slowly become denser and contract. The star will always have a homogeneous composition. As compared to the Sun, it is fair to say that these small stars act as though they consist entirely of one big "core", with no outer layers at all. Their energy output will rise as they become denser, and since they are also getting smaller (i.e., have less surface area from which to radiate the heat), they can only get hotter with age, unlike larger stars. Calculations indicate that by the end of their lives, in the phase that would correspond to the Sun's red-giant phase if these little guys could become red giants, they will instead have a white-hot surface temperature of about 6000 °K. Their luminosity will have risen to possibly 1% solar. (That sounds small, but it is large compared to 10-4 solar.) And then, after trillions of years of life, their hydrogen will burn out, and they will gradually cool off, and that will be that. There is almost nothing in our present Universe which resembles such objects. White-hot stars currently come in just two sizes: white dwarfs that are very small, and blue-white stars that are very large. Intermediate, Jupiter-sized white-hot stars do not exist. (However, there are stars called "helium dwarfs" which are close. They are the naked helium cores of stars that have had their outer layers stripped away by binary interactions.) But the day will come when the Milky Way galaxy will contain tens of billions of white-hot Jupiters, and in that age they will be the "giant" stars, because they (and a host of even dimmer orangeish-yellow dwarfs that have not yet become "giants") will be the only stars.